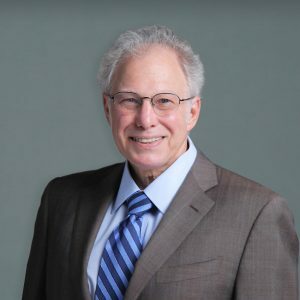 Barry Reisberg, M.D. is a Professor of Psychiatry at NYU Langone Health and Adjunct Professor at the Centre for Studies in Aging, McGill University, Montreal, Canada. Dr. Reisberg has directed research which has significantly advanced current understanding and treatment of Alzheimer’s disease (AD). He was the first to describe many of the most important symptoms of AD and the characteristic clinical course of AD. His staging tools are presently governmentally mandated measures throughout the U.S., and widely used worldwide. Dr. Reisberg’s work has been instrumental in the development of all major current pharmacological treatment modalities for AD, i.e., memantine, treatment for behavioral disturbances in dementia (e.g., risperidone), rivastigmine for mild to moderate dementia, and donepezil for severe dementia. Dr. Reisberg and his associates developed the concepts behind and coined the terminology, “mild cognitive impairment,” a now universally recognized entity. His descriptions of an even earlier clinically manifest stage – “subjective cognitive impairment,” are increasingly being recognized as the earliest manifestations of AD in seemingly normal persons. Dr. Reisberg’s description of the retrogenic neurodevelopmental process in AD and related dementias is also advancing a new science of AD management and providing new insights into AD etiopathogenesis. In a 2017 study, Dr. Reisberg, et al. have demonstrated that a comprehensive management program can provide 10 times the benefits of either current AD medications or traditional non-pharmacologic treatments. Dr. Reisberg has been the recipient of numerous awards for his pioneering research including a Lifetime Achievement Award for Research in Alzheimer’s disease. He is a Distinguished Life Fellow of the American Psychiatric Association. He has also served as President of the International Psychogeriatric Association, and is a Fellow of the American College of Neuropsychopharmacology.